If you have just hopped onto my blog, you can start here as this is a circular hop, but if you want to follow us across Canada then please start at the beginning and join Michelle at Creations With Michelle. You should have arrived here from Brandy’s post. This month we are showcasing the beautiful and versatile “Feels Like Home” paper pack! It’s the last month you can pick up this beauty - so be sure to grab it while you can! 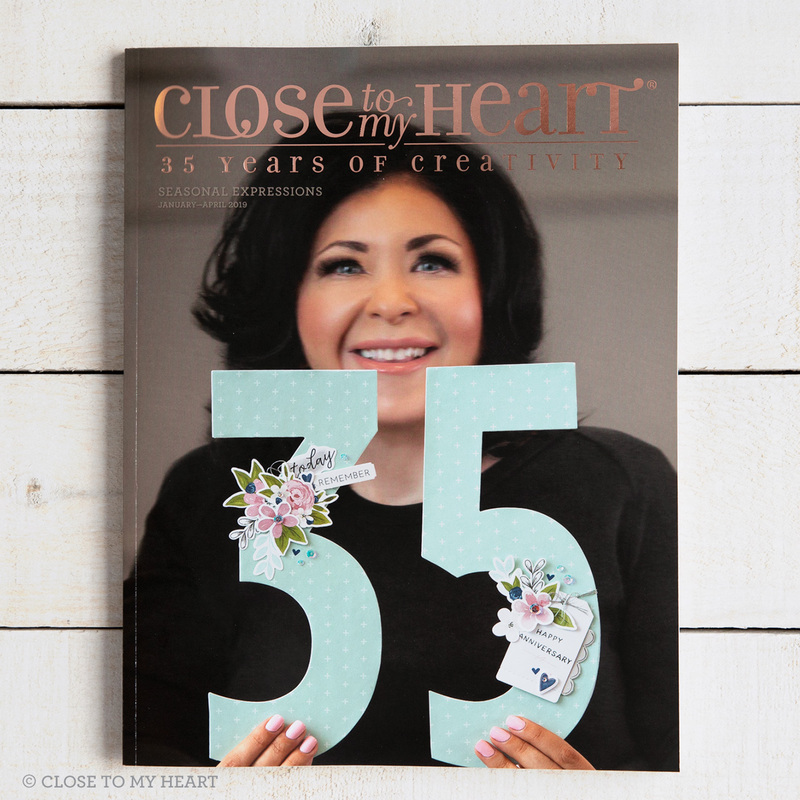 I created 4 fun projects to share with you - so let's get started! 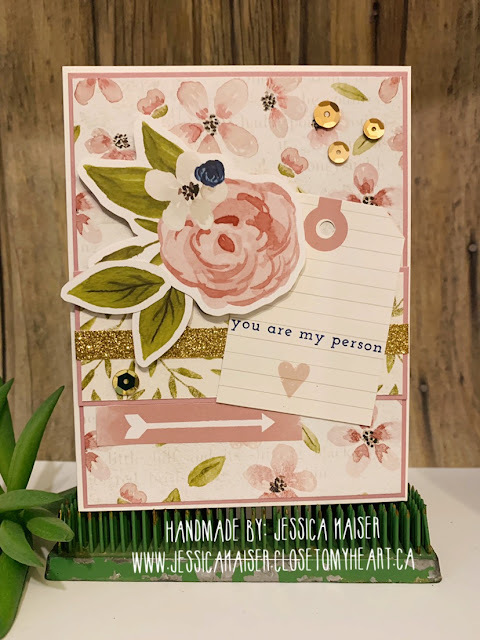 I used the Feels Like Home- Cardmaking stamp set to create this card! The wreath was handcut and a few sequins applied with Liquid Glass. 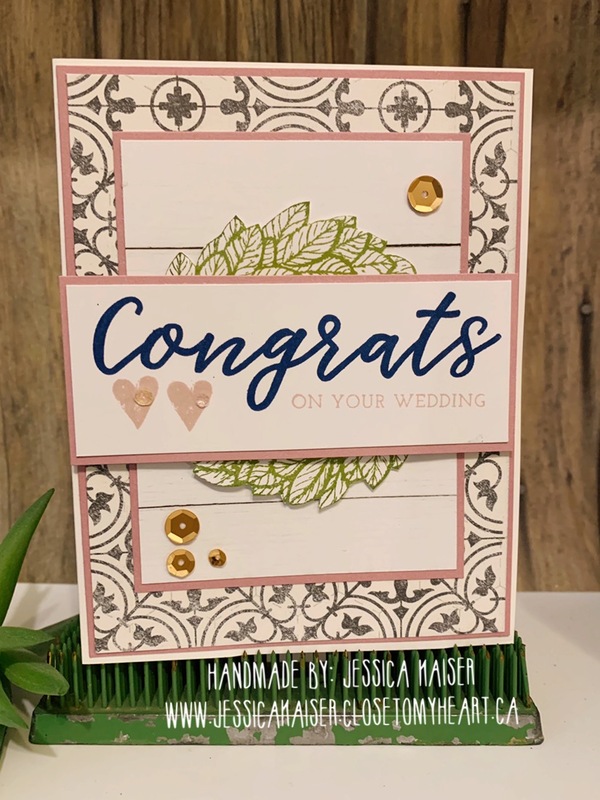 For this card, I used elements from the "cut-apart" patterned paper sheet and kept the sentiment simple. This was a very clean one layer card. I used the various stitching stamps on the Quilted With Love Stamp set to create a beautiful one layer card. Sometimes you just want a simple card without too many distractions! For my last project, I created a super cute treat holder - and it was super simple! I cut a piece of the patterned paper at 4x12 inches, scoring at the 5.5' and 6.5" marks, then folded up to create a "pocket. I slipped some Girl Guide Cookies (they are everywhere right now haha) into a clear plastic cover and used the Mini Stapler to adhere them to the back of the sleeve. I punched two holes in the top of the sleeve and then tied it all up with a piece of ribbon from the Uptown Ribbon Pack (hurry, you can still grab these on clearance AND you get 9 yards of trims for only $5.50!!). The stamps & die set that I used on this was in clearance, but I see has sold out - but it was called Central Park. As you can see, this paper pack is just gorgeous and oh so versatile! The next stop on the hop is the ever talented Valerie and you can find her blog HERE. If you get lost along the way, you can always start back at Michelle's Blog. Thanks for stopping by! If you love any of the products I've used and would like to get them yourself, you, please contact your local CTMH Consultant OR (if you don't have a consultant) you an shop my website HERE. Those are all great projects!! Love the treat bag! OMG I love them all, but the second one is my favourite, they are all beautiful though very hard to pick a favourite. Wonderful cards, I am inspired for sure!